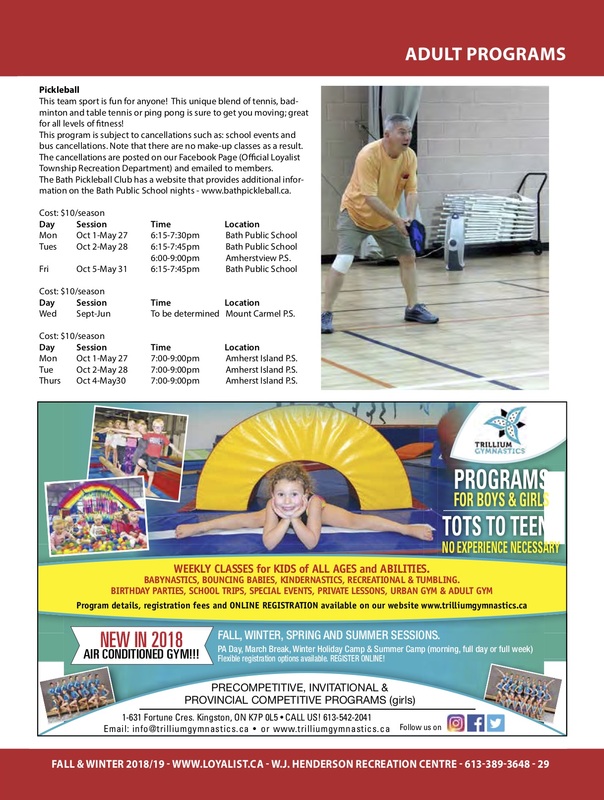 Pickleball is back this year on Mondays, Tuesdays, and Thursdays starting on October 1. You need to register and pay a mere $10 for the season to participate so that insurance is covered. See page 29 of the Loyalist Township Recreation Guide under Adult Programs for details. All levels welcome. Great fun! To register call 613.389.3648 or 613.634.5355 during business hours. Or online: www.loyalist.ca/go/register Payment options are Visa or MasterCard. Shared paddles and balls are available.